The EUROSAF Para Sailing European Championship are being held in Gdynia, Poland from 18 – 22 July and this offers an excellent opportunity for SKUD sailors to demonstrate the qualities of the boat and their interest in Para Sailing & Paralympic competition. 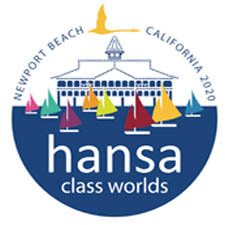 It is also another opportunity for Hansa 303 para sailors to attend another high quality international regatta. As well as the Hansa 303 and 2.4mR as single person equipment, the SKUD 18 has been selected for the Two-Person Keelboat event in Gdynia, with the new Class Rule J5 applying. Minimum disability criteria and open gender apply to all boats. Classification will be performed at the venue. It is wonderful to see such strong entry numbers in the Hansa 303 (something like 26 nations! ), although it would be good to see a much higher number of women & girls participating. It is very disappointing that there has been insufficient interest in the SKUD 18 to make a fleet. There is a lot of confusion about the SKUD 18’s role in Para Sailing now and its potential to be part of the future Paralympic Sailing format. While it seems the initial plan was to drop the Sonar and SKUD and replace these with the 303 and Weta, there has been strong opposition to the Weta being sailed as a two-person boat and concerns about its suitability for sailors with high level disability. Entries for the Hansa 303 in Kiel include a number of new nations and this is contributing to achieving the goal of Paralympic re-inclusion. But the decision about the two person equipment would appear to be still in the balance. While the global numbers of SKUD 18s remains relatively small (83 boats as compared to 1000+ Wetas), the SKUD is primarily sailed by people with a disability and has demonstrated through three Paralympic Sailing Competitions and numerous Para World Championships, Sailing World Cup and EUROSAF Champions Cup events that it is an exciting, spectacular, colourful and safe platform for sailors with high level disabilities. The vast majority of Weta owners and sailors, however, are not people with a disability. The Para World Sailing Committee encouraged the addition of the J5 configuration to the SKUD 18 Class Rules so it could evaluate the performance improvement and impacts on safety (if any) in competition when crews are permitted to transfer their weight across the boat and sail the SKUD flatter. Not having a fleet in Kiel prevents that evaluation from progressing and also sends a negative message to Para World Sailing about SKUD Class interest in future Para Sailing events. World Sailing only have 12 months to prepare their bid for reinstatement into the Paralympic Sports Program, so right now is the time for sailors and classes to get active and help to show what the sport offers. To ensure the SKUD 18 remains a viable option for further Para World Sailing Events and the future Paralympic Sailing Competition, it is essential that respectable fleet sizes are achieved at key events. It is probably now too late for Kiel, but Gdynia is not until 18 – 22 July. 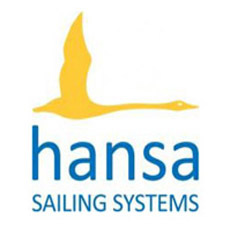 With some commitment from SKUD owners and sailors, and hopefully some encouragement and support from National Hansa Class Associations and World Sailing Member National Authorities, this can happen. But people need to start planning now, encouraging other teams to compete, removing the crew seat and installing the footrest & straps, and preparing to showcase some outstanding racing in the SKUD 18 in Poland. Good participation numbers in the Hansa 303 at Kiel and Gdynia, and also at the European Championships in Meze in October, will also help cement that boat’s important role within para sailing.